Microsoft is not giving away too much about the sales figures for HoloLens but goes as far as saying it is "in thousands, not hundreds of thousands". With the augmented reality headset costing $3000, this is perhaps not surprising, and the company is quite happy to take the seemingly low sales figures in its stride. 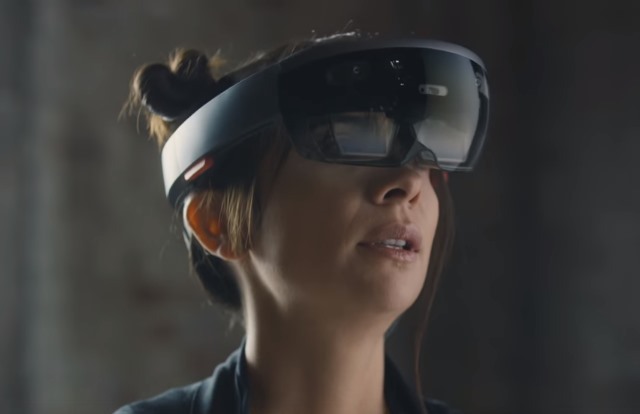 Speaking at educational technology event the Bett Show in London on Thursday, Roger Walkden, Senior Director and Commercial Lead of HoloLens, acknowledged that the price tag was partly responsible for the small number of sales. Interestingly, though, Microsoft is not bothered by what could be seen as disappointing sales, despite the fact that the company seems to be betting big on HoloLens by adding headset settings in recent Windows 10 Insider builds. Walkden pointed out that the lifecycle of virtual reality headsets -- yes, not augmented reality as we have been referring to HoloLens -- is not yet known. He suggests that we could be three years from the point at which interest really kicks off, and it is for this reason that the low sales are not seen as worrying. We're not trying to sell hundreds of thousands or millions or anything, it's expensive, and it's not in huge numbers. So we're happy with the level of sales that we've got -- I can't tell you anything about the numbers, but it's in thousands, not hundreds of thousands, and that’s fine. That's all we need. There's a roadmap. I can't tell you anything about it, though. They keep that kind of information way clear of me so that I don’t accidentally tell you anything. I have no news for you on when those will be. But the roadmap does exist, and we now that at this point this is the only device we've got, and the only one we need in order to get people started on their journey. But for anyone who feels let down by what HoloLens has to offer, there is good news: "this is version one, and there will be future versions."